Hand forklift is a low altitude lifting and short distance transportation.Its characteristic is small volume,light weight,compact structure,beautiful work style,simple operation,good seal performance,work safety and reliability. 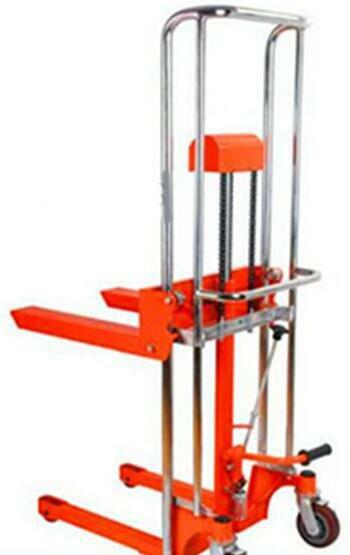 Applicable to warehouse,ports,loading bays etc.In solid surfaces,lifting carrying heavy loads. 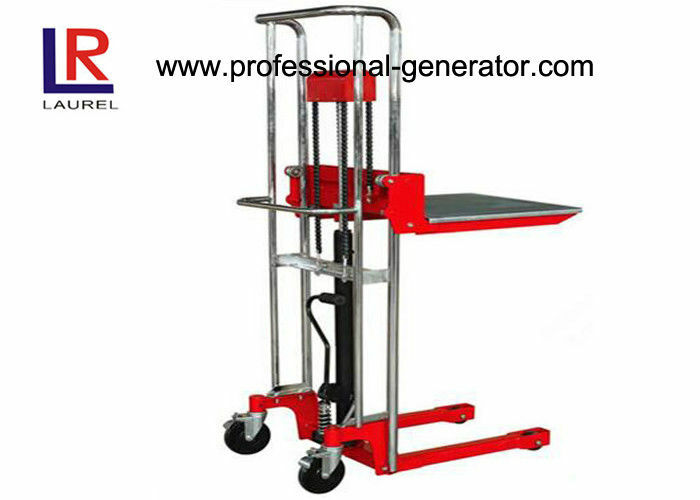 Other name of different country : manual forklift, manual pallet truck, hand lifter,manual stacker. It is also widely applied to transport components in the factory workshop ,especially suitable for printing and dyeing,papermaking .It is one kind of civilized production tools.Special size for length and width can be made according to customer's requirements. 1. 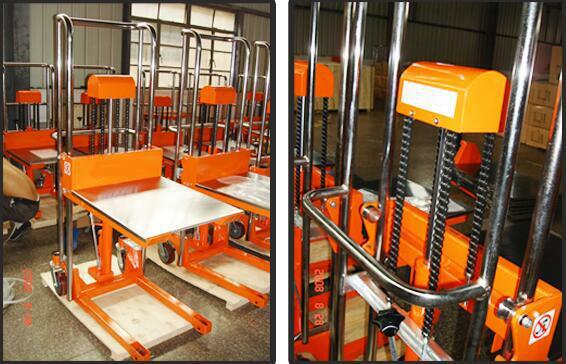 OEM Manufacturing welcome: forklift ,electric pallet stacker , manual truck. Q1: How long is the warranty time ? A1: 2000 working hours or 12 month, whichever comes first. Q2: How can I get the after-sales service? A2: The global service network is still in construction, but you can contact with us if you have any question or need professional support. We will try to solve your problem in 24 hours, and arrange the delivery of spare parts in 48 hours. Q3: What about the delivery time ? A3:The delivery time is about 10-15days after receipt of your P.O.for the standard products, For the specials, The delivery time will be advised later. Q4: How to pay for it ? A4: Generally, we used T/T: 30% as deposit and the balance will be paid before shipment. L/C is available according to actual conditions. Q5: How to deliver it? A5: By sea. 1x20'GP can load 30pcs of manual stacker.